Manufacture better results when you start with an organized B2B email database of vice presidents of manufacturing and production. Buy a VP of manufacturing email list of production-relevant sales leads and fabricate a more productive email marketing campaign with Bookyourdata.com! A business contact list like this ready-made email database of VPs of manufacturing and production can help you build a better campaign with the industry leaders who need to produce results. Connect with a vice president of production/manufacturing over email, phone, or direct mail easily with our ready-to-download database. Pulling by job title, this production VP email list contains those with high-level management positions relating to manufacturing and/or production: chief manufacturing officers, chief production managers, and vice presidents of production or manufacturing. Rather than being sorted by industry, this list expands your reach to include VPs of production and manufacturing at a variety of institutions in numerous industries, whether they're a foundry, factory, or other kind of company. 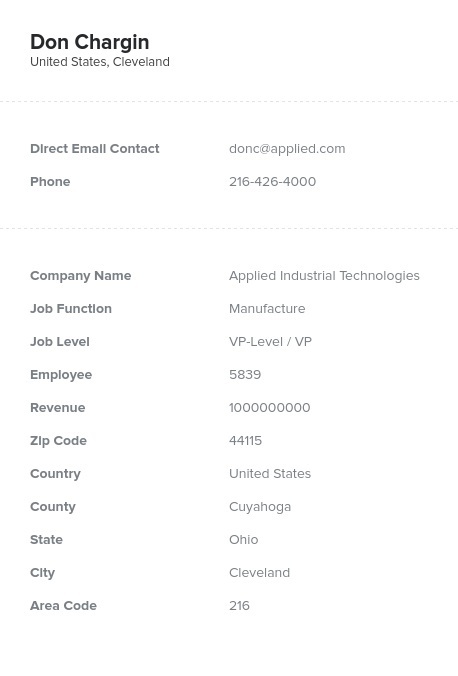 We've manufactured an easy solution for when you want to reach a spread-out group of people: a consolidated chief manufacturing officer mailing list, with all of the information you'd need to connect with a high-level group of manufacturing management professionals. You can use this one resource as a direct mailing list (due to the fact that it has real names and postal addresses), cold-calling list (with accurate phone numbers), and email marketing list. Manufacturing operations vice presidents' emails will be available as soon as you download this product; you'll be able to pull it into your CRM and produce more deals! Pull this vice president of production email database, connect with VPs and chiefs of manufacturing, and move your product or service down the line!